Simba has just been born and all the animals in Africa celebrate about it, as his future is to rule them. But Mufasa, the King, is betrayed by his brother Scar and Simba has to run away. He finds Timon and Pumbaa, a strange couple formed by a meerkat and a warthog. Timon and Pumbaa take care of Simba until he is not a puppy any longer, and Simba is able to go and reclaim the throne of Africa. 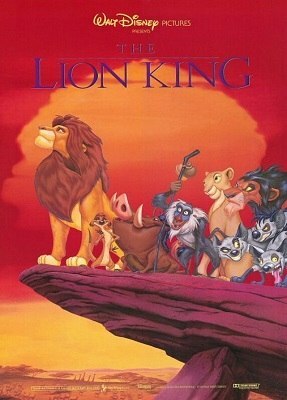 But his uncle Scar will not give it easily, and Simba will have to prove that he is truly born to be the king of Africa.